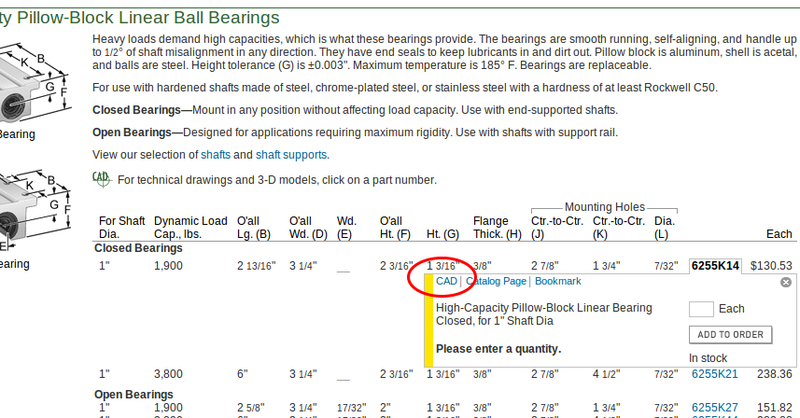 More and more vendors are providing CAD data in their online catalog. As long as they provide data in one of the non-proprietary formats, it should import very nicely into FreeCAD. McMaster-Carr’s catalog is legendary and many of their products have CAD data associated. 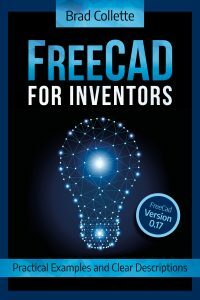 You can download in a bunch of different formats that are compatible with FreeCAD, HeeksCAD, or probably any other CAD system on the planet. Just click on the part number . 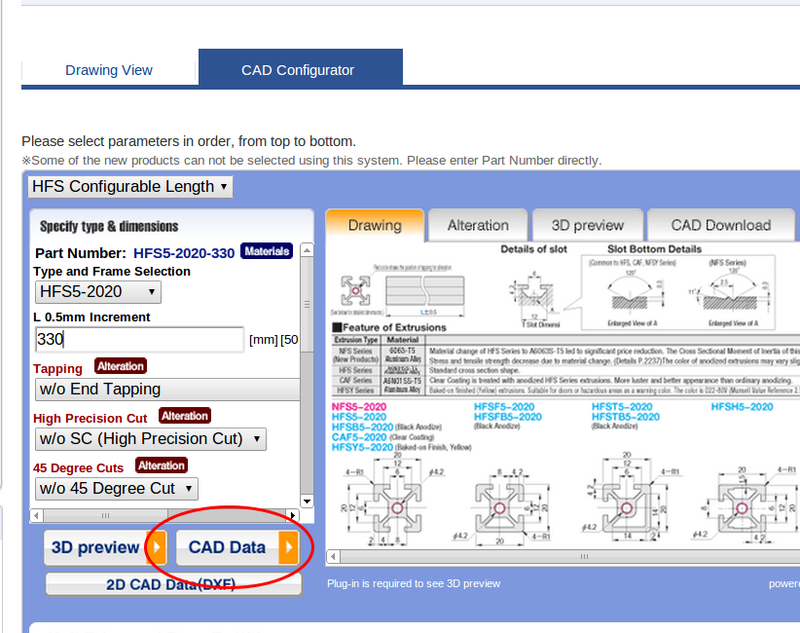 In the item detail pop-up there’s a CAD link that will take you to a page where you can get 2D and 3D CAD models and also see some dimension data online. Misumi’s site is maybe even better. Misumi will custom cut aluminum extrusions without a setup fee. The nice thing is they also provide custom CAD data for the parts you specify. For example, if you want a 330 mm extrusion, they’ll cut it, but you can also download a 330mm model to use in your design. 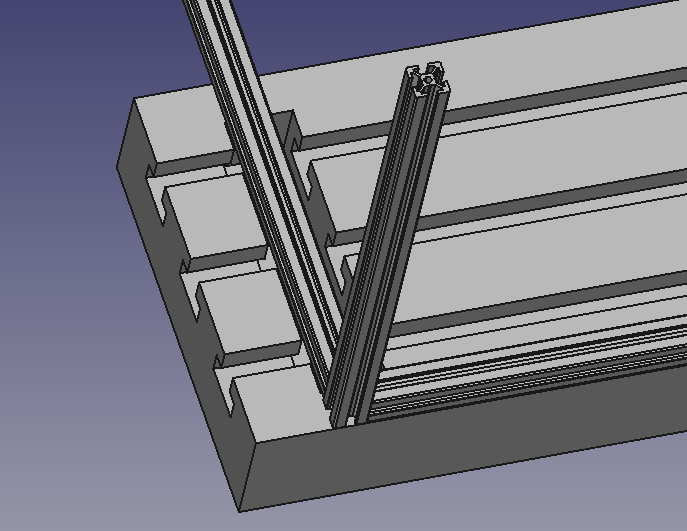 In the design at the top of the page, I used three different length pieces and played with them in FreeCAD to verify that things would line up on the table the way I wanted. I wish all vendors provided this, along with detailed specs, schematics, and illustrated parts lists. If you know other noteworthy vendors, drop a comment.